I’ve been sitting staring at this blank post for over four hours thinking about how I would approach my next blog topic. This week’s various Twitter topics (as well as a post by fellow blogger @mssackstein) have all lead me to contemplate one recurring theme: FEAR. I have a masochistic relationship with Fear. When risk is involved, I happily let fear hold the reigns of self-doubt. I’m not much of a risk taker, never have been. My brain has a habit of checking off all the reasons why something is not possible or why failure is imminent (Failure Expected And Received). The actual act of delving into an unknown is physically stressful for me. I spend every waking moment in Finding Excuses And Reasons. My brain literally throbs from deconstructing all available routes, attempting to calculate the most successful path to a destination as if it could ever be a personal GPS. However, I do not avoid risk at all costs, especially when it comes to my students. I have constantly put myself out there and changed my teaching practices in efforts to better serve my students. I feel this is a good thing, but I often run the gamut of perpetual stages of worry. Am I doing the right thing? Are my students truly learning? Should I even be a teacher? This panic (False Emotions Appearing Real) that I am desperately clinging to on a daily basis is what keeps me from becoming a truly effective teacher and advancing in my career. There is a serious need for me to get out of my relationship with fear. A side effect of my constant Frantic Effort to Avoid Reality is a negative reflection of the self. So instead of spending this post harping on the multitude of flaws that seem to continuously re-purpose themselves in my mind, I believe I need to share some of the positive things that I do in my classroom. It is time for me to be OK with occasional bragging. So, without further ado, here are some projects that I’ve had success with in my classes. Nickel and Dimed Webquest: after reading a few excerpts from the book Nickel and Dimed, students were thrown into the world of the minimum wage worker. They had to complete tasks such as: finding a job they were currently qualified to do (assuming the role of recent HS grads), finding an apartment, keeping a budget, figuring out transportation, paying bills, buying groceries, etc. They also had to keep a daily journal of each activity including: describing what a day at work looks like, describing their living arrangements, sharing quick/frugal recipes, etc. They also had to write a resume and cover letter, and fill out mock job applications. I plan to do this webquest again this year after spring break and will have students BLOG rather than keep handwritten journals. I would also like to add “SMH” cards that throw a wrench in daily living (such as getting sick, getting wallet stolen, car breaks down, etc.) and having them write about how they would overcome these issues. Multi-Genre Writing Project: (idea taken from Tom Romano’s Multi-Genre Research Project) Student choose a novel from a list of traditional literature although students could do the project with any self-selected text. They are to read the novel independently and create a folio of multi-genre writing that illustrates the themes in the novel as well as provides readers with an opportunity to experience the novel without actually reading it. The goal was that their final product would be something that could be left in the library as a way to encourage readers to check out the book. Their final product should contain: a letter to the reader (giving a short book talk or a 1 page introduction to the contents of the project), an author bio, additional entries that demonstrates at least 7 different genres (poem, interview, game directions, menu, news article, etc. ), a bibliography and notes page. I even create a multi-genre project along with my students. You can view the Alice in Wonderland project I did several years ago (yes it’s all my own writing and I enjoyed writing along side my students for this project!). Class Magazine Project: I mentioned this in a previous post. I do this project absolutely every year for senior spring final project. They love it, I love it, and the whole school looks forward to the annual editions. Students run the whole show, writing all of the content, designing the layout and even creating their own advertisements. The project begins with applying for editor positions. Editors become the leaders and run pitch meetings where the rest of the class pitches their ideas for content. Students are sent out around campus wearing press badges and collecting stories. They write content and submit drafts to copy-editors who make any edits. Final drafts are sent to layout editors who fit them into the magazine. After content is written, students work in groups to create advertisements that compliment the articles they wrote. My husband, a professional photographer, is “hired” to do the shoot. He treats students exactly like he would a real client and students must have story board idea of the advertisement before showing up to the shoot. Students also must supply all props and the product for the shoot. Husband does shoot with some post-production, then images are sent back to groups for the final advertisement layout. Students must create every aspect of the magazine from the cover, masthead and index right down to the little details such as folio and cutlines. NANOWRIMO: for those of you who haven’t tried this with your students, give it a try. It’s one month (November) and it will really get the writing juices flowing for both you and your students. This was a BIG deal for my students who constantly complain about having to write 500 words or more. My students were not able to do the full 50,000 words but getting them to do 2,500 word stories was worth all the pre-planning. Students worked so hard and were very creative with their stories. Even if I didn’t join the program, I’d do something like this again with my students. These are the projects that help me remember that I AM a good teacher and can be when I let go of FEAR. So when you’re faced with a difficult year and feel undeserving of any accolades, take a look back at some of you favorite activities with your students. Take time to reflect on the things you do well. Everyone has flaws but indeed we all also have strengths. Building on your strengths and don’t Forget, Everything is All Right. Is it the English Teacher’s Fault? I want to start by saying I love reading. I have always loved reading. My mother has told stories of me as a 2.5 year old sitting in piles of books attempting to read to myself. During the summers, I looked forward to trips to the book mobile rather than summer craft camp or swimming at the local Y. As an elementary kid in 4th and 5th grade I read as many of the Baby Sitter’s Club series books that I could get my hands on. It was one of the very few books that had an African-American character. One summer I checked out Little Women to prove I could read a book longer than 400 pages. By middle school I was reading Stephen King when everyone else was reading Christopher Pike. I still remember in high school when I was introduced to Lord of the Flies and I stayed after class to talk with my teacher about biblical allusions. She must have thought I was an enigma. In college I excitedly signed up for a class where we read nothing but Shakespeare. My roommate thought I was weird. As an adult on the cusp of turning 30, I stood in the same line with miniature Harry Potter and Hermione look-alikes as we all clamored for the very final “book seven” of the series. I then proceeded to lock myself in my friend’s guest bedroom for 2 days to finish reading it. What can I say; I love books. So, I have to admit that I don’t understand my students’ extreme dislike of reading. The very act of putting a book in their hands is equivalent of giving superman Kryptonite. I get that reading is hard, especially if you didn’t grow up with a book taped to the end of your baby bottle. It’s even harder when you’re still trying to learn English. So how can I make reading enjoyable for my students? In Deaf education, we are constantly hounded by statistical data that says that many deaf students graduating from high school still cannot read above 4th-5th grade level. Despite the plethora of methodology within deaf education, this statistic is still a reality. So, why aren’t these kids learning to read? Or better question, what can we do to improve? Every so often something touches a nerve in the well of my gut and rattles my insides until I can’t stomach it anymore. I hate feeling troubled. It’s like a burn that seers even after the wound has blistered over. I’m troubled by the lack of gains in deaf education. More so, I’m troubled that my students seem to only pick up a book and read during the 90 minutes I see them every other day. I don’t think that 90 minutes will ever be enough to make the kind of gains that will demonstrate to the powers that be that what I do at our school means something. Most of all, I’m troubled by the archaic methods used to boost student’s reading scores. To me, there is something wrong about teaching students to read through vocabulary lists, basal or leveled readers, and strict assigned reading. I’m guilty of doing all three at some point in my misguided career and even this past year out of pure exhaustion. I must do better because I know better. When we look at how good readers naturally develop reading skills, we find that the best readers in the world are people who read widely and frequently. No amount of flashcards will help you learn new words if you don’t read them frequently in a variety of contexts. While the article points to creating context in English Language Arts classrooms, I believe that true content-based instruction means reading and vocabulary instruction is the responsibility of ALL teachers. I can teach students to read and analyze literature. I can teach them the language of analytic and narrative writing, but a large majority of the vocabulary that they will need to become successful in college and even in the working world will need to come from other content areas. This is also true for teaching skills related to text analysis. I hope that social studies teachers are discussing with their students about warrants, claims, and evidence. I hope art teachers are showing students how to analyze visual media images and use a variety of mediums to approach a common theme. I hope science teachers are showing students how to compare and contrast current research articles, make connections, and judge validity. I hope math teachers are teaching students how to summarize data clearly and concisely. Students need all teachers to support and build students’ inferential skills. Perhaps more time could be given to independent reading of content specific texts (bring magazines into your classrooms). I think it would be awesome to experience cross curricular collaboration. It has to be more than just the English teacher’s fault if students are failing at reading and writing. I know the knot chaffing the lining of my stomach will not go away unless I can work up the gumption to do what’s right for my students. Reading needs to be a natural part of every day in the classroom as well as at home. Perhaps if we made reading more relevant and frequent, students would see books, not as Kryptonite, but as gateways to a world of possibilities. 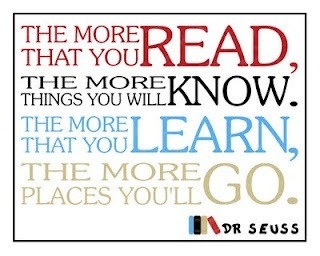 At the end of the day, my goal is to get students to see the value of reading. If the student enjoys reading, I’m not so concerned about what a single assessment says about their reading level. Real reading gains are only going to come from intrinsic motivation from students. However, a school-wide reading-rich environment will coax reluctant readers to take a second look at the benefits of daily reading.